We love Louisa Harding's Amitola. A soft blend of wool and silk, combined with amazing colours makes this yarn perfect for accessories. 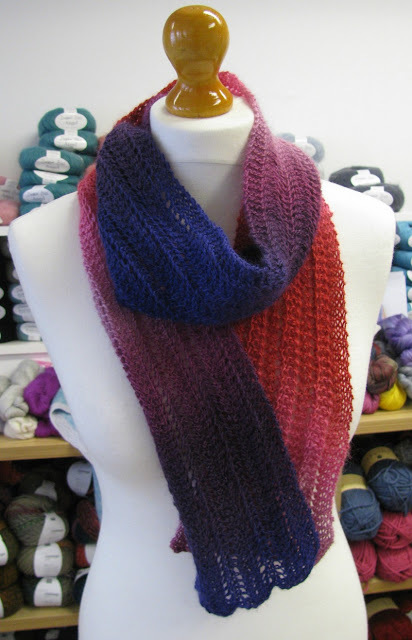 Based on our super chunky Winter Garden scarf (yarn now discontinued) this scarf features a 2 row pattern, repeated until you run out of yarn. Make it wider or shorter - its up to you! 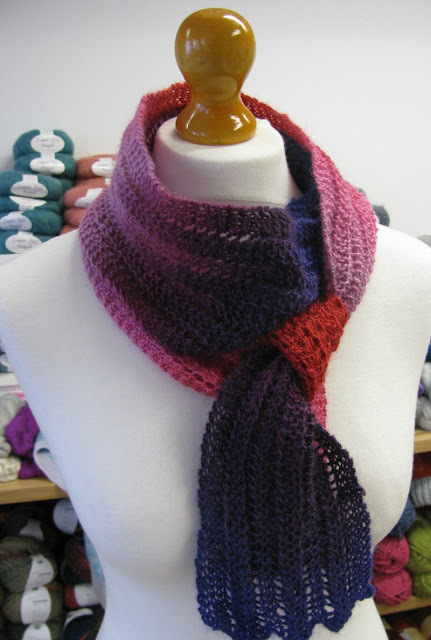 Yarn and pattern available in the shop!